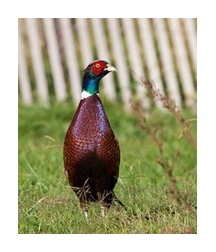 The 2018 – 2019 Pheasant Season has ended. Thank you for helping make it another great Pheasant Hunting Season! Want to extend your hunting season? Call the Club office to schedule a Chukar Hunt or purchase a Chukar Card. Both are a great way to enjoy the Spring weather at the Club. Our next Hunter Safety Course will be held on May 18th and 19th. Please call the Club for details how to reserve a space! 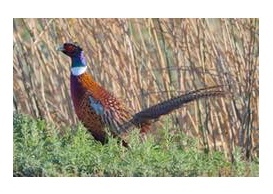 Established for the 1968-1969 hunting season, Hastings Island Hunting Preserve is a state licensed, Zone B, pheasant club located 70 miles east of San Francisco and 35 miles southwest of Sacramento. Nestled in California’s Sacramento / San Joaquin Delta on Hastings Island, this private ranch contains an expansive 4,700 acres, with over 800 acres dedicated solely to prime upland bird cover. The balance of this family farming operation is occupied by Hastings Island Land Company, which provides a rich habitat of Delta irrigated alfalfa, corn, wheat and safflower.